This season of giving is making me greedy. Shopping for gifts the other day I came home with a bag of goodies mostly for me. 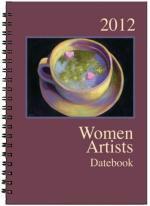 This handy 5x7-inch, spiral-bound, day planner offers 12 months of poetry and art by women writers and artists — and includes the poem, Why I Knit, by Marjorie Power of Corvallis, Oregon. A collection of poems, gathered and edited by Elizabeth Hun Schmidt, from each of the 43 poets who have been named U.S. poet laureate since the post was established in 1937. The anthology includes introductions and work from Billy Collins, Rita Dove, Elizabeth Bishop, and more. A wry documentary from a self-declared "wannabe poet," featuring interviews with Margaret Atwood, Steve Almond, Nick Flynn, David Sedaris and more. Favorite line (from the trailer below): "There's no rule," says novelist Margaret Atwood, "that says you get steadily better." What gifts are you giving? or hope to receive?